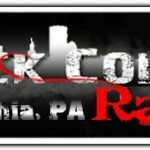 Trevor was interviewed by Philadelphia’s Black Collar Radio. Touring and performing are discussed and “On the Wall” gets a spin. Tune in anytime to hear Molehill on general rotation. To hear the full-unedited version please visit HERE.